"Who can ask for better cosmic tour guides to the universe than Drs. Tyson and Goldsmith?" —Michio Kaku, author of Hyperspace and Parallel WorldsOur true origins are not just human, or even terrestrial, but in fact cosmic. Drawing on recent scientific breakthroughs and the current cross-pollination among geology, biology, astrophysics, and cosmology, ?Origins? explains the soul-stirring leaps in our understanding of the cosmos. 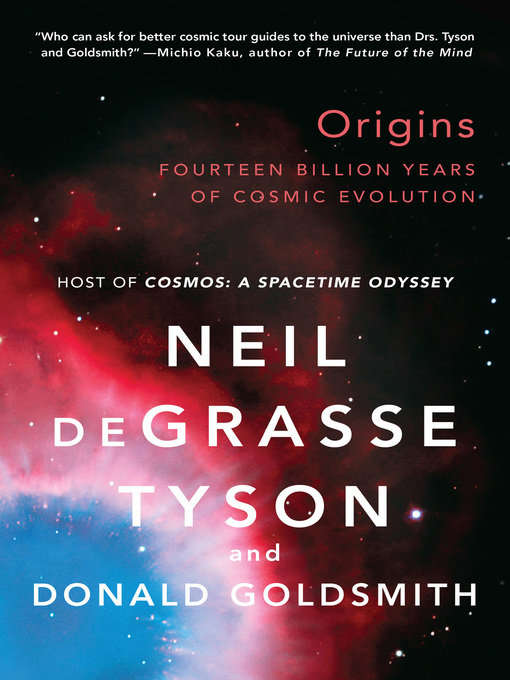 From the first image of a galaxy birth to Spirit Rover's exploration of Mars, to the discovery of water on one of Jupiter's moons, coauthors Neil deGrasse Tyson and Donald Goldsmith conduct a galvanizing tour of the cosmos with clarity and exuberance.